ElectroTech creates reliable products in long-term collaboration with our customers. We work actively to ensure that the products we develop and produce cause the least possible environmental impact. Naturally we comply with relevant legislation and regulations. We are a flexible company that continuously improve our way of working through experience gained and listening to our customers. 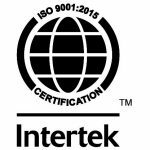 We consider ISO 9001 to be a good way to prove our structured way of working and put our customers’ requirements in focus. ISO 14001 will lead our internal environmental approach and be included already during the design phase in order to create new products where the environment is taken into consideration. ElectroTech is quality-certified according to ISO 9001:2015 and environmentally certified according to ISO 14001:2015.